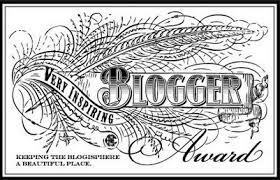 Hi everyone, here is this week’s Sunday Sevens, a little ode to randomness that doesn’t merit a whole post. For info about Sunday Sevens, please pop in to see the creator, Natalie, over at Threads & Bobbins. There are no real rules, just sharing of seven(ish) pictures. It’s easy and fun, won’t you join us? 1. 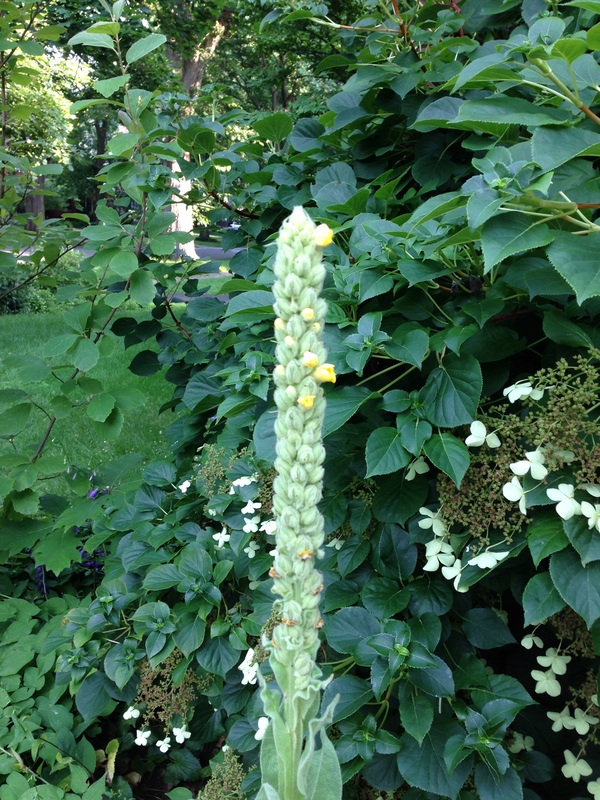 This lone stalk (nearly 5 ft tall) grows in my front garden – it seems to be popping out a new bud daily. Researching “tall, skinny plant with tiny yellow flower” (or words to that effect) yielded no result. However, I happened upon a picture posted by Deborah, at Rustic Pumpkin’s Garden in the Shire – and there it was! Common Mullein, or Verbascum Thapsus (her photo is so much more professional). 2. 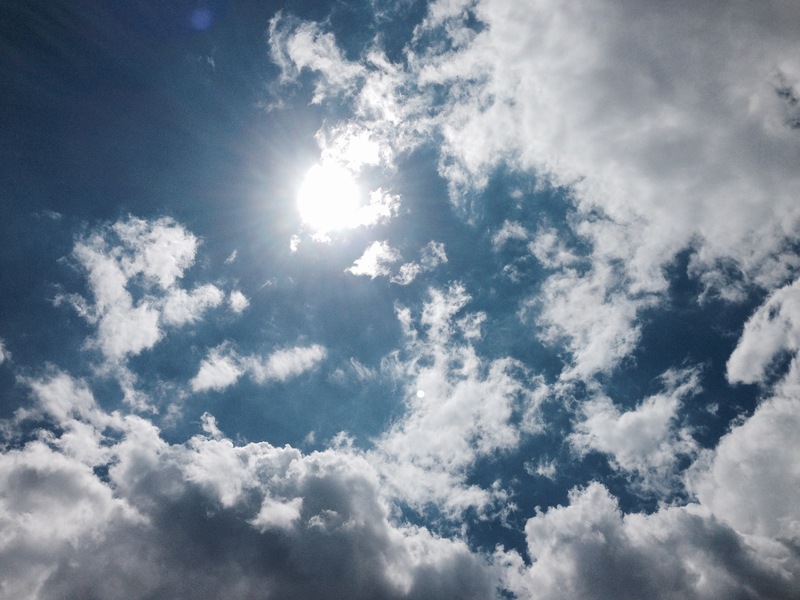 The sun is trying to peek through the clouds (so white and puffy, and the sky is really much bluer than it appears here) on this fall-feeling summer day! 3. My toasty Melin Tregwynt blanket has been called into action on these chilly nights. 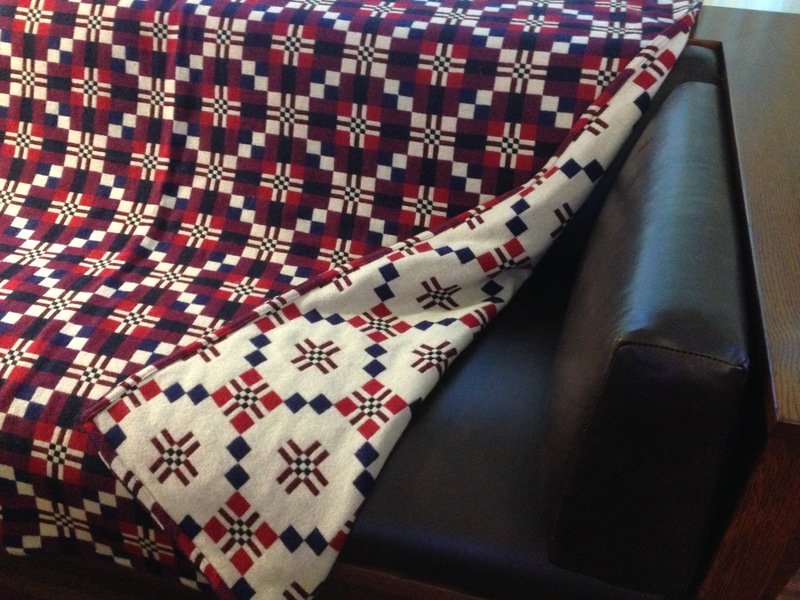 The reversible pattern is called St. David’s Cross. Can’t decide which side I like best. 4. Confession Time. I always do a little test run when changing my thread. Hmmm. I seem to have a little trouble threading through all the necessary spots, but only when I’m standing up. What? Must sit down to do the threading. 5. You may know I have a teeny-weeny obsession with aprons. 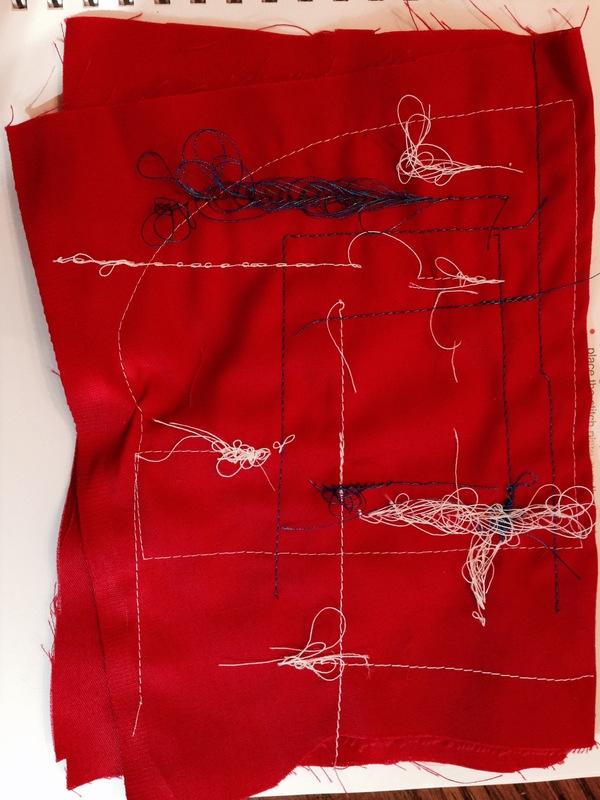 And you may know I have a teeny-weeny problem getting projects going (thinking, re-thinking, double re-thinking – ugh). 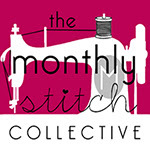 So I am joining The Monthly Stitch challenge for August. The theme, since it is their second anniversary, is two. I’m thinking two aprons. 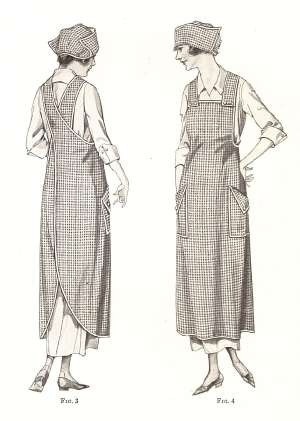 Or one apron – reversible, voila! Two pieces in one. Linen. Maybe one side striped? Or checked? And I have a time limit! Yikes. 6. I’ve been in a bit of a funk lately, and was searching for some inspiring words. Is there anyone more inspiring than Maya Angelou? She is certainly worthy of a whole post, not just a snippet, but I have chosen the smallest quote I could find – and it speaks volumes.